See scan - perfect condition. This is a nice set of the Polish Republican PRL Merit Cross or Cross of Merit - all three issues of 3rd Class bronze, 2nd Class in silver and 1st Class in gold. All come with original ribbons of issue. 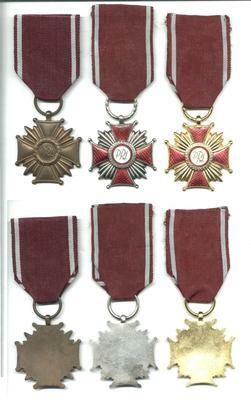 Nice military / militaria collector set and one of the nice Polish orders groups.